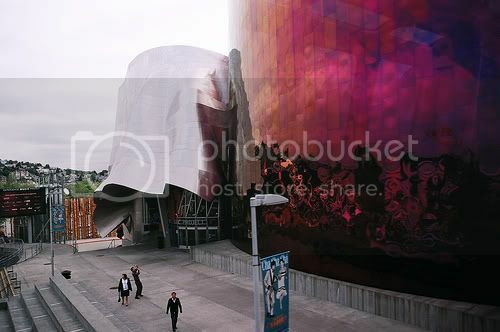 The Experience Music Project and Science Fiction Museum and Hall of Fame is a museum dedicated to the history and exploration of both popular music and science fiction located in Seattle, Washington. 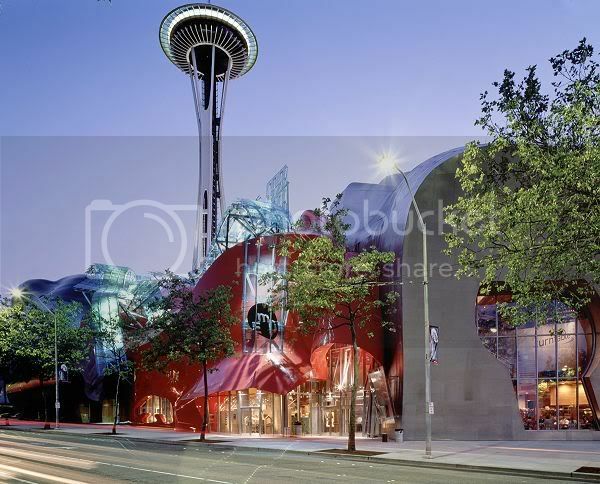 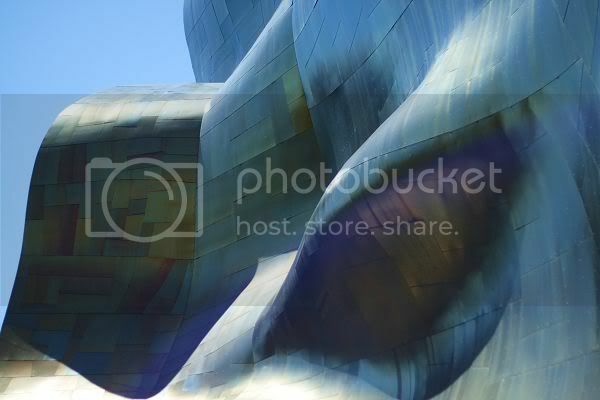 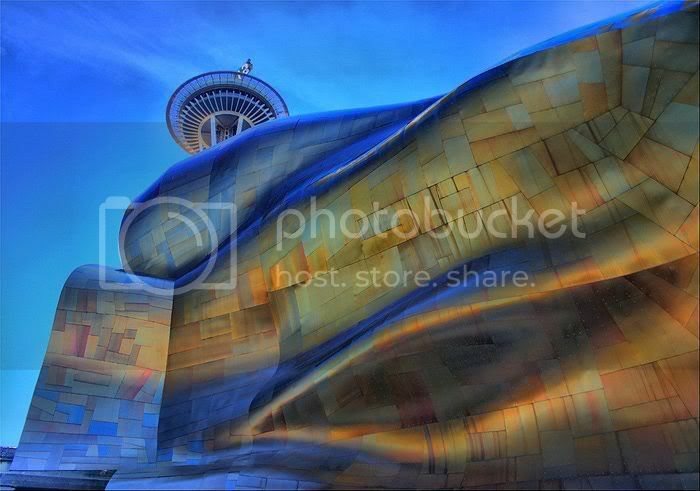 The Frank Gehry-designed museum building is located on the campus of the Seattle Center, adjacent to the Space Needle and the Seattle Center Monorail, which runs through the building. 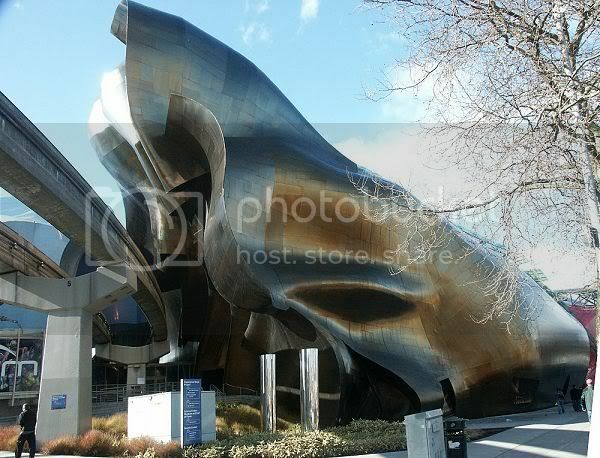 Wow... the outside of this building looks like flowing water!